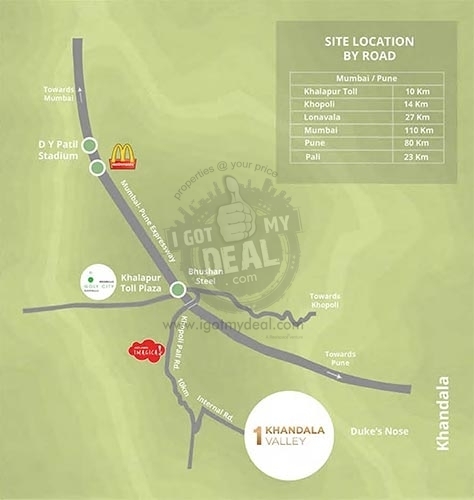 Luxury Amidst Nature is what "1 Khandala Valley" all about. Presenting to you this piece of true luxury residential project built by Woodlands Housing. This property will purposely be located near Khalapur at the foothills of Duke's Nose, the hotspot where hundreds of people visit every day. 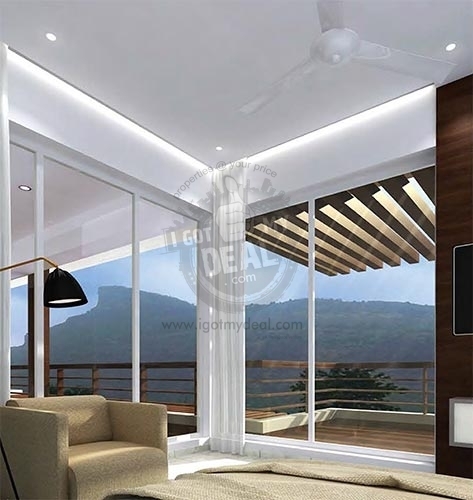 Location: Khalapur, Khandala (chavani village) is the actual location of this project which is easily accessible from Mumbai Pune Expy & Old Khandala Road. Being next to Duke's Nose is also one of its main advantage that automatically builds hike in price for the properties available here. Some of the nearby location, routes & villages surrounding this project are: Khandala, Atkargaon, Mumbai Pune Expy, Chavani village, Parshwapuram, Kune N, Gavliwada, Kusgaon Budruk & Khopoli road. Whereas there are also some places in the travelling vicinity such as Duke's Nose, Tiger Valley, Vikas Valley, Khandala Forest, Fariyas resort, Mc Donalds, Lonavala Lake, Shree Narayani Dham Temple & Kohinoor Business school. Watching a Sun rise & Sun set or staying amidst natural trees with a peaceful breeze has become a Dream in today's date. But no more it will be a dream throughout your experience in this project. 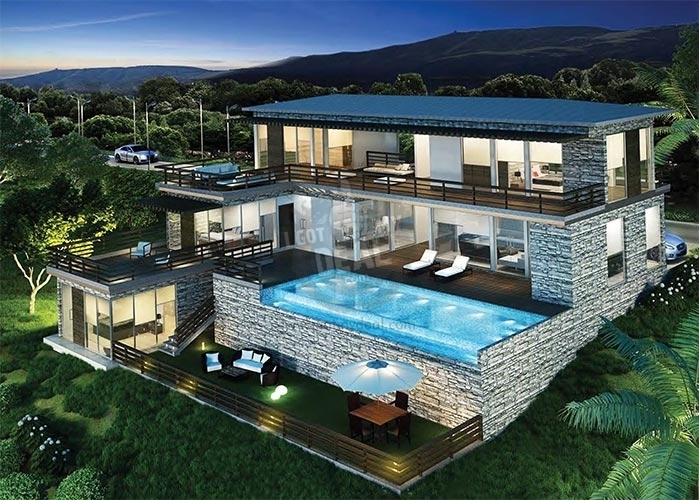 It is constructed so perfectly that everyone will enjoy the unobstructed views along with complete privacy. So you can now wake up every morning and watch the sun rising or have a cup of tea in the evening with a view of sun set. No more pollution, no more insecurity, no more struggling for pure oxygen and no more searching for the birds, everything will be just at your disposal now. Each resident will get to see the natural river, no matter which villa they select. Also the concept of having 2BR resort suite is out of the box. It gives you an opportunity to rent your room while you are not present. Just a notice and your room will be ready for you, the highly experience team will take care of maintaining the condition of your villas in the meanwhile. There is also huge parking lot where even your friends, family member or other visitors at your home can park free of cost. 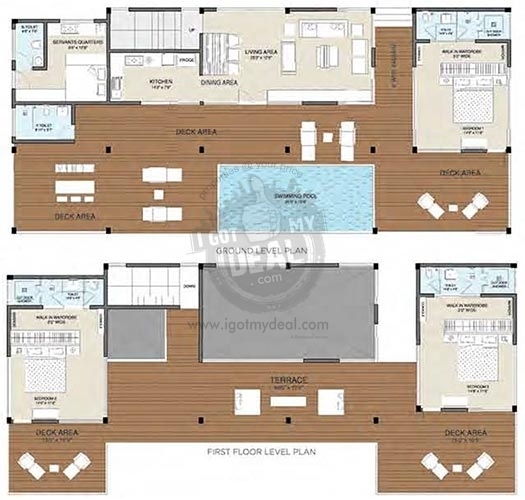 Every will have private swimming pool, sun deck area, private garden & separate servant rooms with separate entry. There are hundreds of more advantages of buying your weekend home in this project. To know these reasons, you can speak to one of our executive and get the best deal offered. * Bed rooms, Living & dining rooms opens into the pool & deck areas with uninterrupted views. * Park your car and enter into your own Golf Cart to move around the community. * Hassle free maintenance of all common areas plus optional housekeeping services. Gated community of 37 acres / 45 multi-level residences / 20 fabulously furnished, ready-to-occupy suites.